Sometimes you need something to aspire to. Sometimes you need to step out of your comfort zone and just have a book that you can look at and know, with certainty, that it’s a hair out of your range. 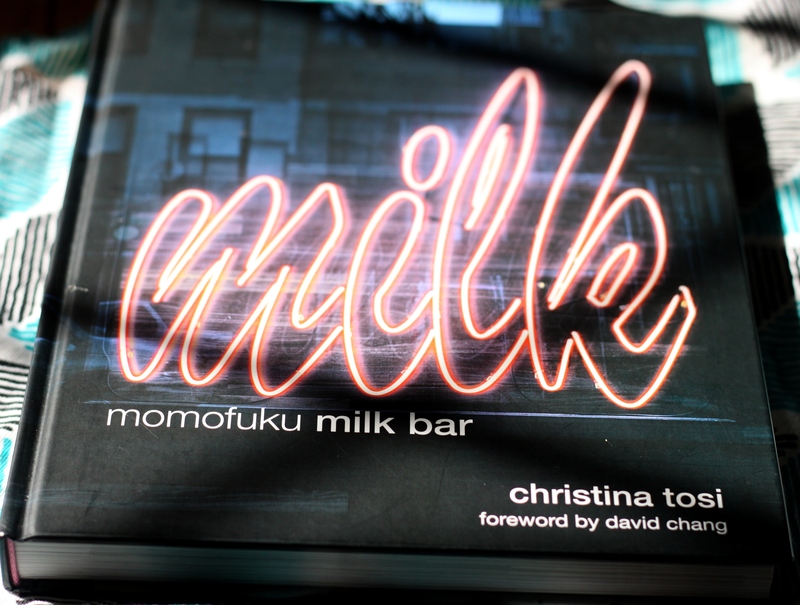 That is why I own the Momofuku Milk Bar Cookbook. I find this book incredibly daunting – like a giant sundae when I’ve already had too much to eat. But I can’t stop myself from picking it up every few months and thinking I should give it a try. For the record – I’m usually a show no fear kind of cook. I’ll try anything at least once – I’ve made my own bacon and babysat my own sourdough starter so I always think I can handle this cookbook. 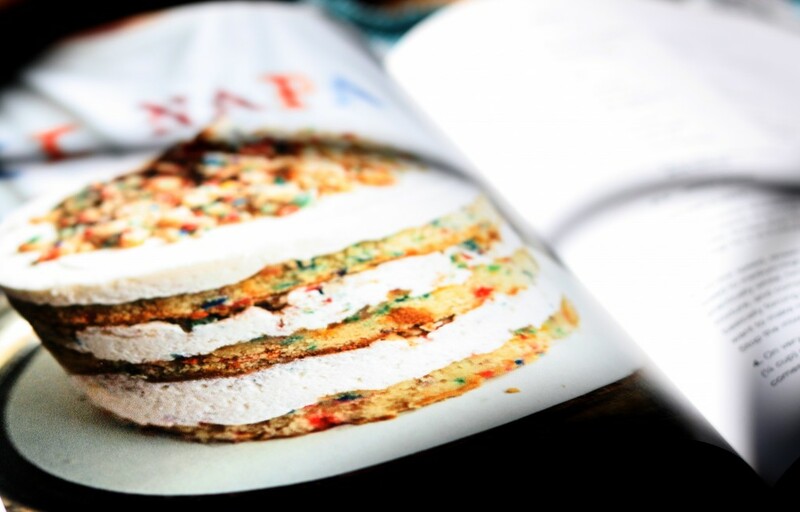 Which means I pull it out and look up a cake – now a cake in this book has at least four separate ingredients that must be cooked/mixed/pureed/blended before I even consider the possibility of putting it together. I did mention I found the book daunting, ya? 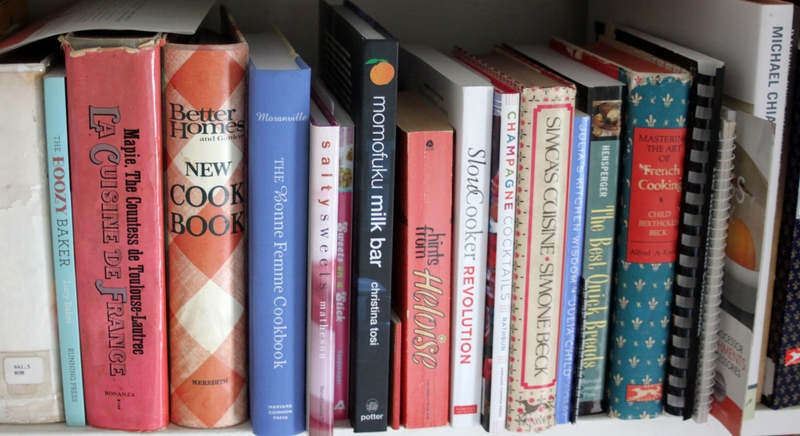 Most people look at this book for the pictures I think – okay the crack pie is fantastic and the compost cookies are extraordinary but the rest of the book is meticulous. Everything is weighed and soothed into the rest of the ingredients. But maybe that’s why I love it, it’s a book of challenges and dares me to break my boundaries a little bit. I do plan on actually tackling a few of these recipes in the next couple weeks – I’ll share my results. Don’t you worry. Though I’m still a tad intimidated, at least I’m building my own birthday cake so I won’t wreck someone else’s birthday, right? This entry was posted in baking, cake, cheese, cookbook, Dessert, Food, On My Shelf, recipe, Review, Sweet, Uncategorized by Kathy. Bookmark the permalink. Ah of course I read this post after I wrote you on twitter. This just might be the inspiration I need to pull out this cookbook too.